Given the choice of a store bought holiday gift or a homemade food gift, food wins every time. (Before launching Cowgirl Granola, homemade granola was merely something I made for holiday gifts that people begged for all year long.) With the gift-giving season on our heels, I want to pass the torch of homemade food gifting to the next generation and was elated when life presented me with this opportunity. A friend of mine asked me to start teaching her son how to cook and I jumped at the chance. Because I have known this exuberant, curious and smart 12-year-old boy grow up makes teaching him a few basics about real food both an honor and a joy. Each lesson includes a few recipes that make a meal he and his family enjoy after we are done. So far, his repertoire includes an herb-roasted chicken, baked pasta with homemade tomato sauce, beef stew and a simple salad dressing. When his mother told me he wanted to make a dessert together, I knew we needed something easy but also perhaps something he could make for friends and teachers as holiday gifts. Chocolate bark accomplished both goals. Plus, it was his mother's birthday and I knew my friend would like coming home to homemade dark chocolate bark with dried cherries, pumpkin seeds and unsweetened coconut. 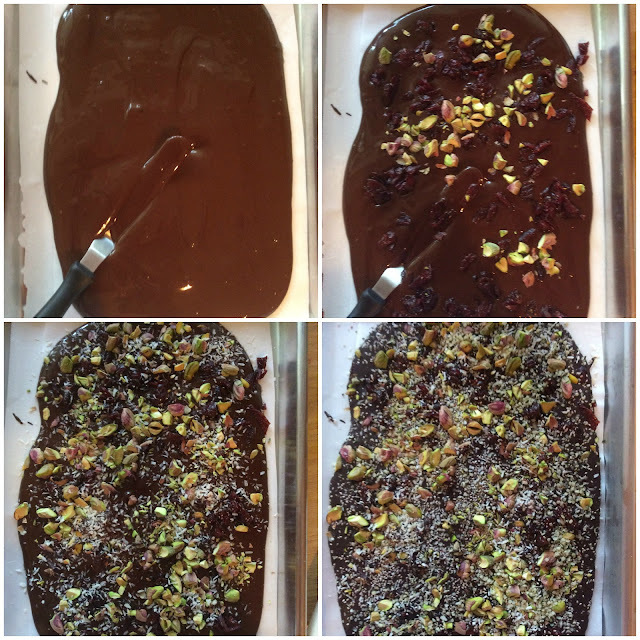 Gift-giving doesn't need to be elaborate or expensive, which makes this chocolate bark a colorful and sweet way to say Merry Christmas (and Happy Birthday) to someone you love. Chocolate is one food I could not live without. Period. 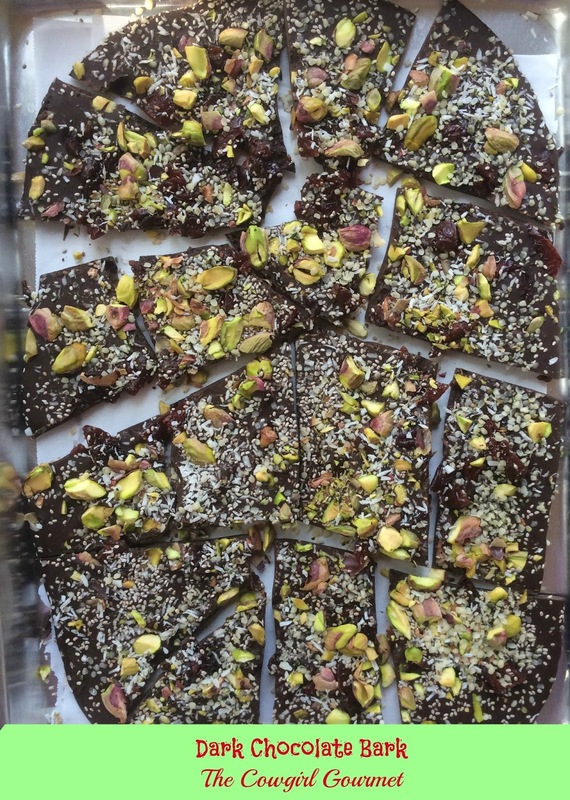 We occasionally buy a pre-made dark chocolate almond bark at Whole Foods, so I had never really thought of making my own. 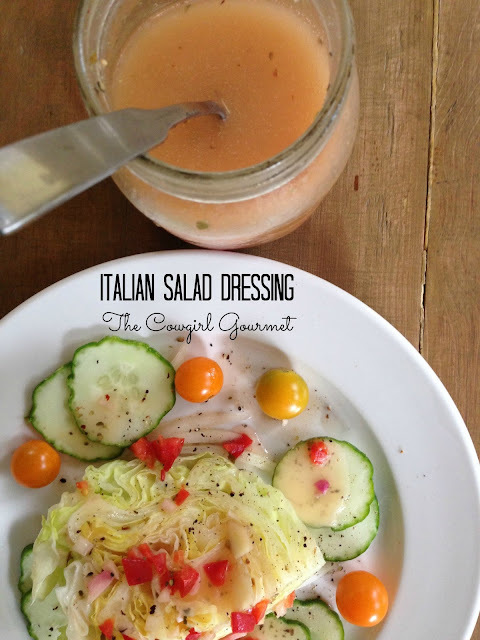 Until I realized how simple it is and how I can change up the toppings to use whatever I have. Adding seasonal toppings like dried cranberries in the winter will change it up dramatically or choose dried apricots or dried cherries. Macadamia or almonds. Toasted or not. Seeds like hemp and sesame. Stir in a dollop of peanut butter or a drizzle of caramel. The possibilities are endless. 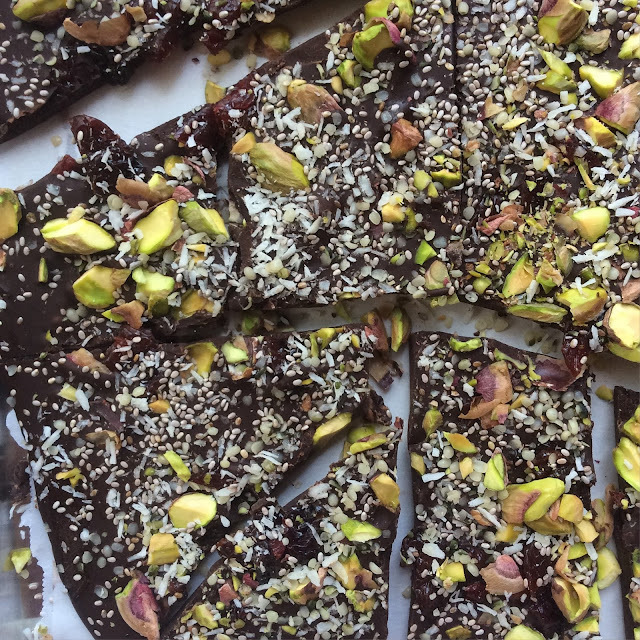 Stupid simple to make and though it really doesn't require a recipe, I have created a platform from which you can create your own chocolate bark. 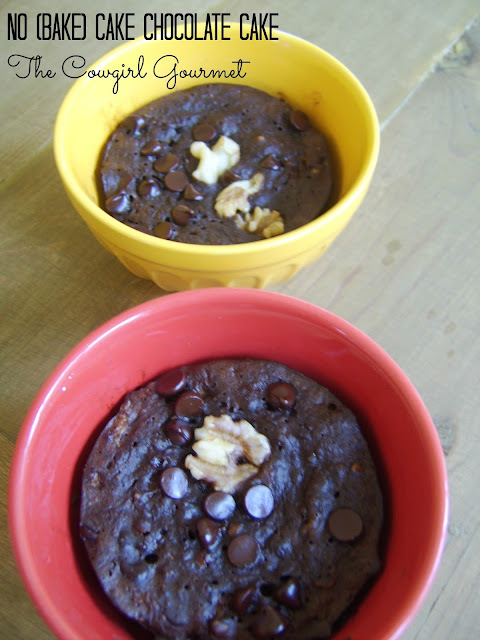 Place chocolate in a bowl. 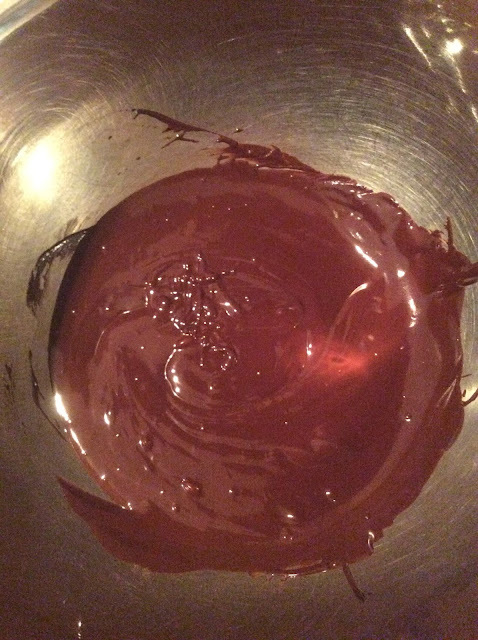 Using a double-boiler method or the microwave, melt chocolate. If using double boiler, do not let the water under the bowl come to a boil. 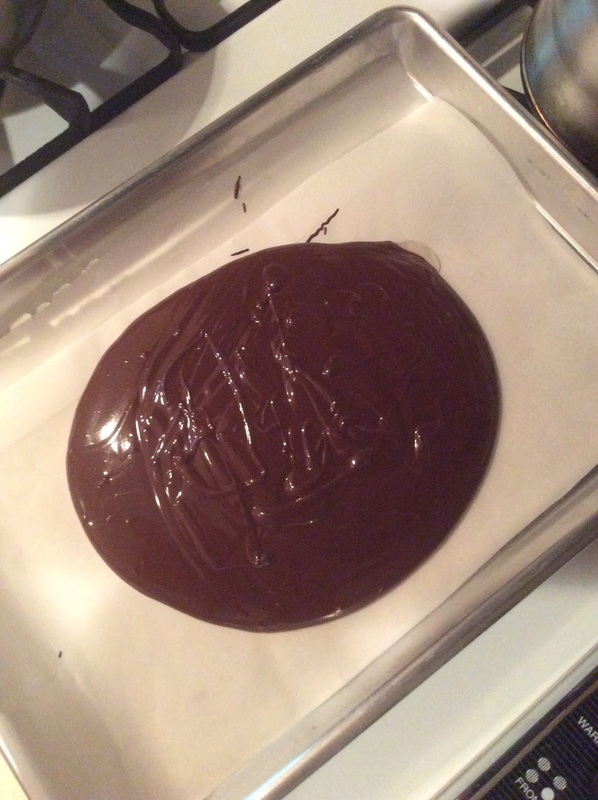 A gentle heat is all you need to slowly melt the chocolate. This will take a few minutes. If using the microwave, use at 50% power and melt in :30 second increments, stirring after each interval until just melted. When the chocolate has melted, remove from the heat or the microwave. You now have two choices. You can either add the dried fruit and nuts now and stir well to combine--or you can spread the chocolate on the parchment paper-lined baking sheet and then artistically place the dried fruit and nuts on top. An off-set spatula works really well for spreading the chocolate into an even layer, though a knife, rubber spatula or back of a spoon would work as well. Let the chocolate take its own shape and spread it out so it's 1/4" thick. Don't get the chocolate layer too thin as you want it to have "bite" or bark. Then liberally place or drop the dried fruit and nuts on top of the chocolate. Sprinkle any small seeds or coconut or salt. Place baking sheet in the refrigerator for 30 minutes and then break bark into chunks and refrigerate or package and gift to the lucky ones who made this year's list. Note: When using nuts, use a minimal amount of salted nuts. Though a few can add a nice touch of saltiness to the bark, too much can also be overwhelming. Use raw nuts if possible, which can be toasted.